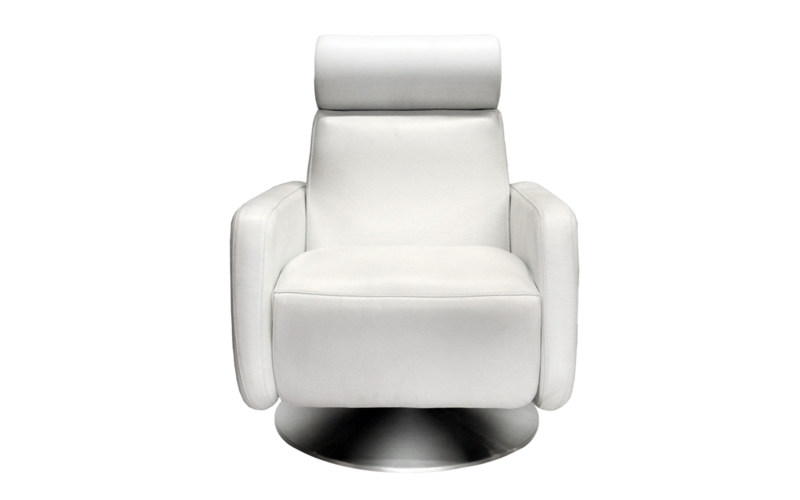 An American made multimedia swivel recliner that combines modernism and elegance with its pure flowing lines and sophisticated profile. 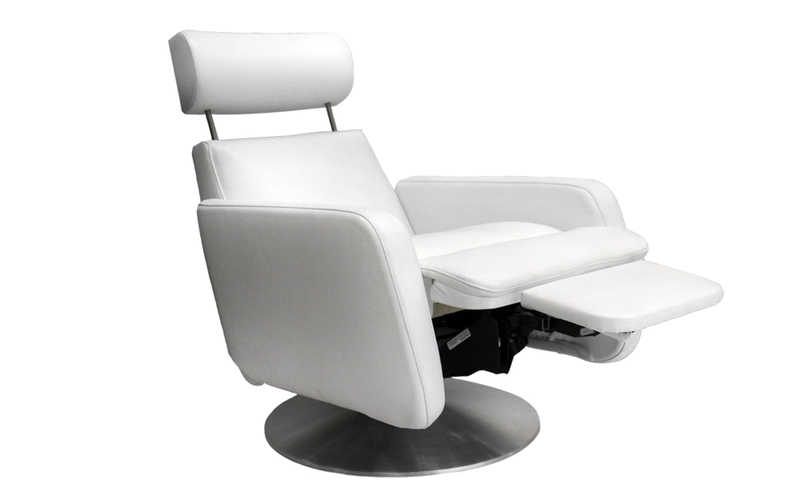 The headrest extends as you recline with an effortless push back. 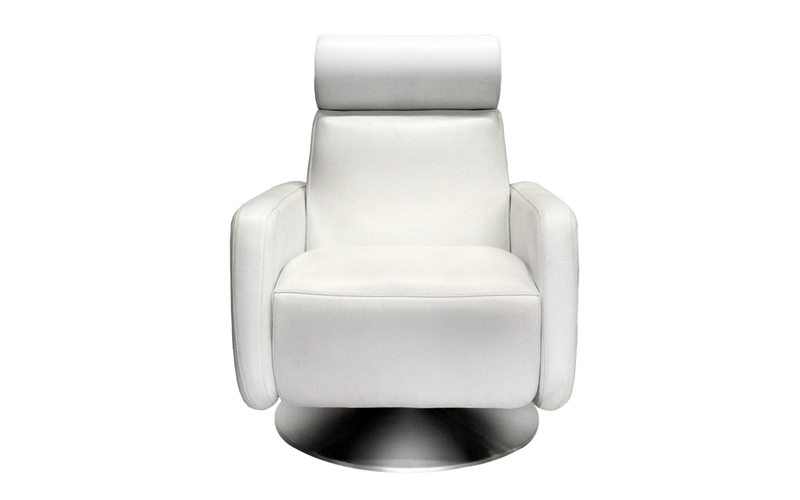 A stainless steel base allows you to swivel 360 degrees and enjoy the view in absolute comfort. 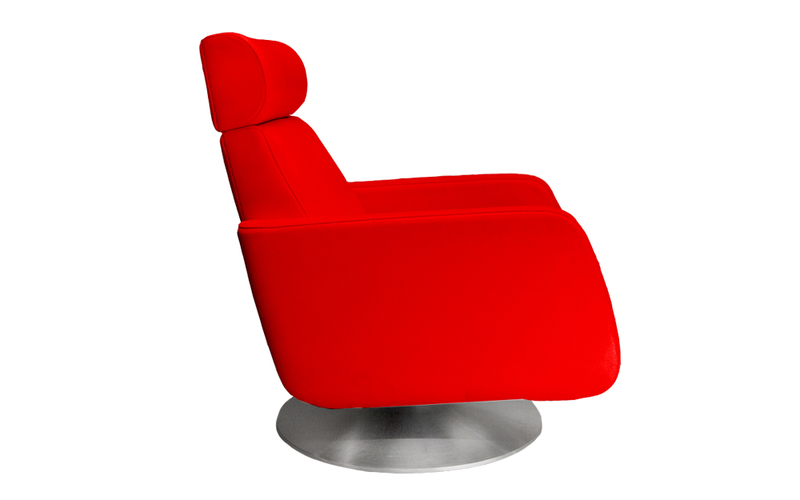 The Mirage is the perfect chair, for any setting, in any home, to live, lounge, relax, entertain or just reflect. Available in select signature and premium leathers, microfiber, C.O.M. OR C.O.L.